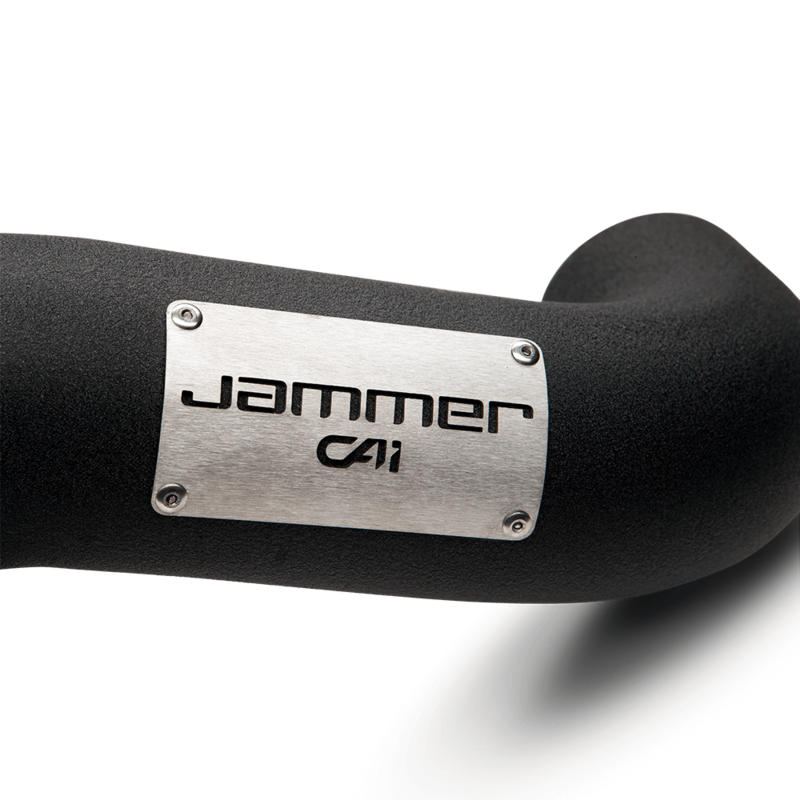 The Jammer Gas intake an impressive 25 horsepower and 30 lbs. x ft. torque on 2012-2014 F-150 Ecoboost trucks. 5-1/2" washable/reusable air filter is included which connects to a best-in-class heat shield that mounts quickly to the factory airbox increasing airflow over the stock air intake system. 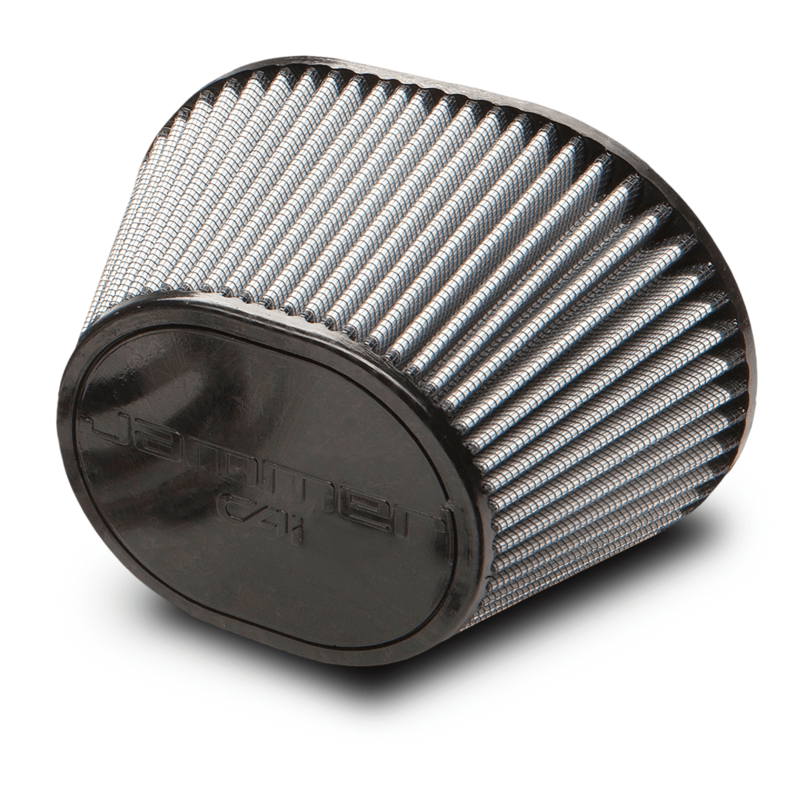 A 3-angle filter adapter increases air velocity after the air filter for improved performance and throttle response. 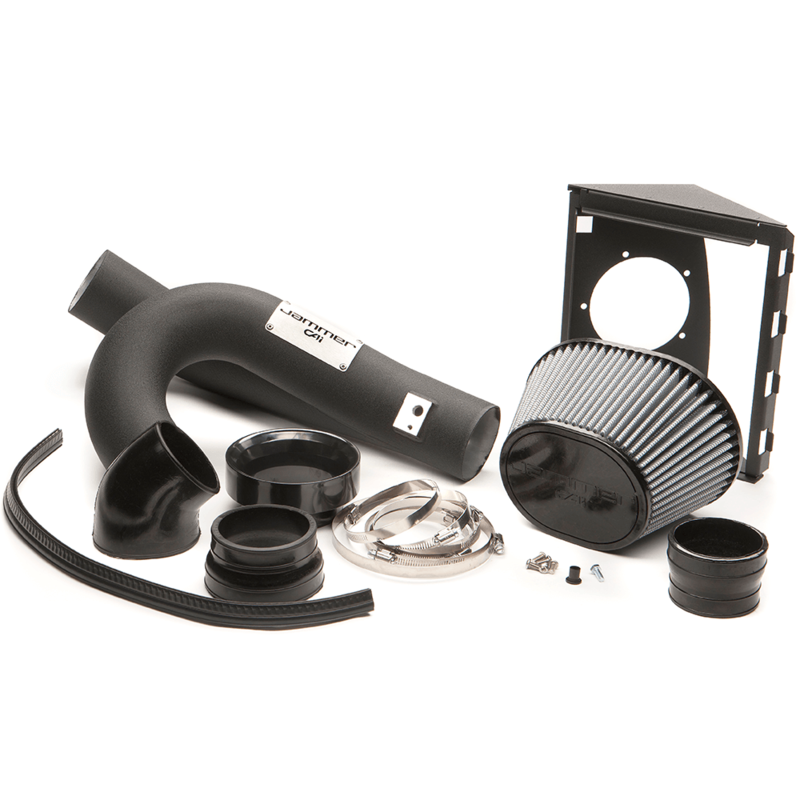 The heat-insulating black powder-coated intake tube uses a split tube design that allows the twin turbos to equally share the increased air flow using a mitered transition. This design reduces turbulence and increases velocity resulting in more horsepower and torque, while also driving efficiency. The 3-angle adaptor is used to speed up the air flow after the air filter for improved performance and throttle response. Note: This intake fits the 2012-2014 models only. It does not fit the 2011. DRY CAI Ford F-150 EcoBoost 12-14 V6-3.5L(tt) (Pol) is rated 4.0 out of 5 by 1. Rated 4 out of 5 by FlyinBrian from Easy 20 minute install I can't say how the CAI performs alone, as I also purchased an Intune 3 and installed both at the same time. The CAI's aluminum tube construction is sound and just, and the black coating looks good. The assembly fit well and the components seem quality. I wish there was some kind of vented and louvered filter cover for the rainy months.